Narrow Hills had a booth setup at Gen Con 2016 that caught my attention. Narrow Hills has a line of protective card boxes that convert to discard trays. 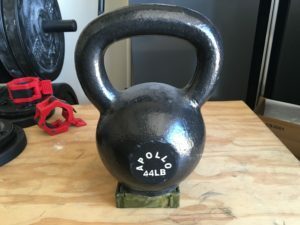 They were kind enough to forward a couple of samples to me and this is my review. 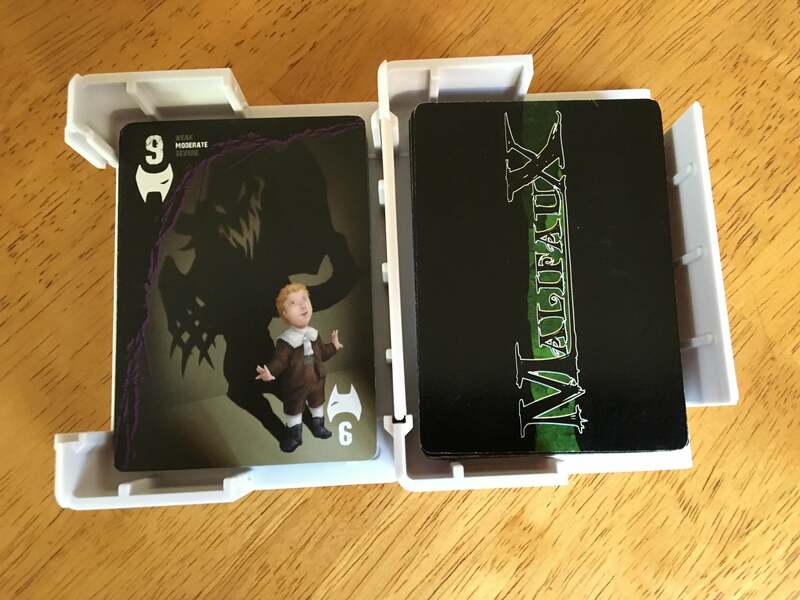 This is the Card Caddy assembled. The two halves fit together nicely, though it does take a little effort to pull them apart. The center hole means you do not have to label the exterior, as you can see which deck is inside. Though you can also fit a standard poker chip in the hole should you need one. Once you pull the two halves apart, you slide them back together to form the draw and discard sections. Here is what they look like deployed, with a deck of cards in place. 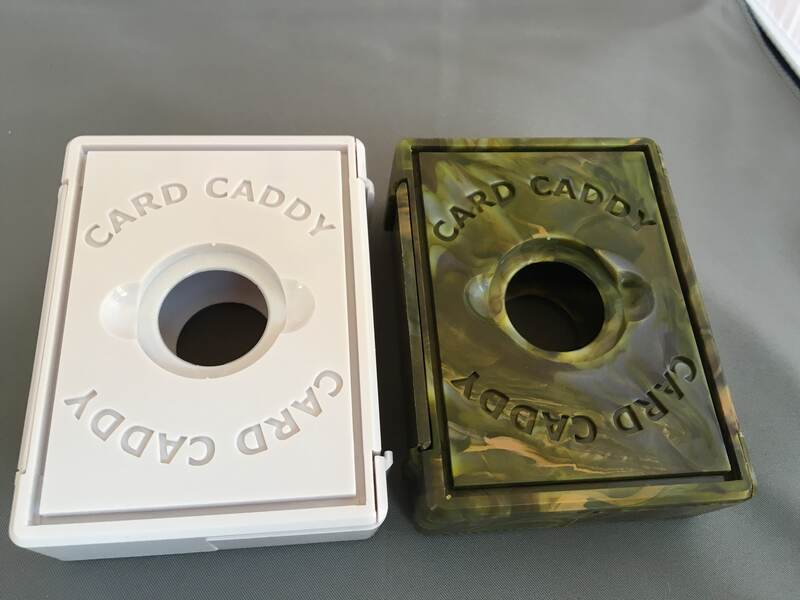 The Card Caddy is pitching two key features, card protection and utility. As for utility, the intent is to use these for travel, as the discard tray makes it easy to throw down a game on a folding coach-class tray table or on a train. Note the cut outs at the top and bottom of each section. This allows for easy “card grab” while still containing the cards. The Card Caddy is made of a high-density plastic and is very sturdy, but to test it I planted some weight on it. It did not complain at all and emerged unscathed. Tough enough for me! Card Caddy is a great solution to travel card gaming and general deck protection. Are Games Teaching Children the Needed Post-Apocalyptic Skills? March 1, 2009 trask Comments Off on Are Games Teaching Children the Needed Post-Apocalyptic Skills?